Ever since seeing this apartment circulating around pinterest I have been very keen on my next dwelling having a conservatory. I can just picture sitting with a cup of tea soaking up the natural light or watching raindrops come rushing over the glass. I imagine (aren't dreams a lovely thing?!) 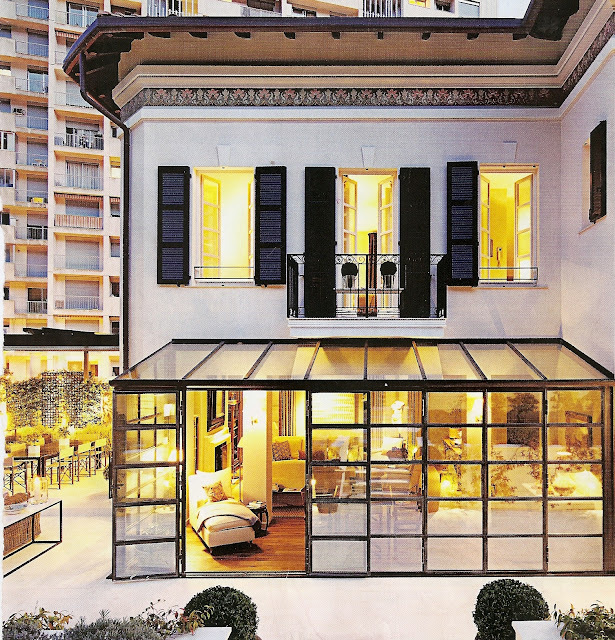 that it would be just like the one that was added on to this residence in Monaco, as featured in Architectural Digest (amazing issue, by the way.) The entire home was revitalized beautifully by architect Marc Corbiau and designer Timothy Whealon. 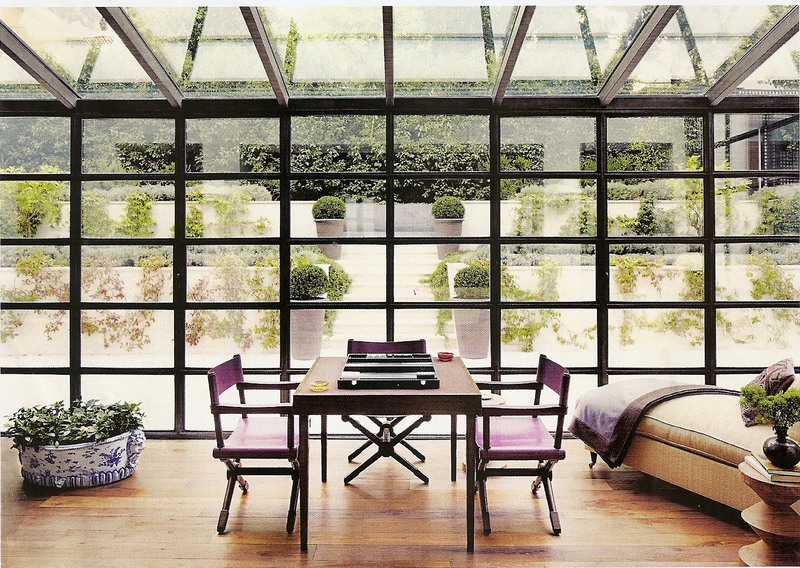 Lovely conservatories! A Happy Easter to you, Blair! So Inviting!! I would love a space like that to relax on a spring Easter Day!! Wow. The hints of lavender with all the greenery looks so beautiful. I want to grab a throw blanket and a book and stay there all day! I really love the black shutters and the black metal details in the second photo. So contemporary. Oh come on! Can I stay here as long a I could? Just kidding:) Looks so relaxing, I think I can have the best yoga here. If this is only my place, I will not go anywhere. :) Beautiful conservatory designs simple yet elegant. Great job friend. I loved conservatories a lot. Some people know perfectly how to use a conservatory effectively. This is one of the best example of it. You guys i'm applauding to see your post .